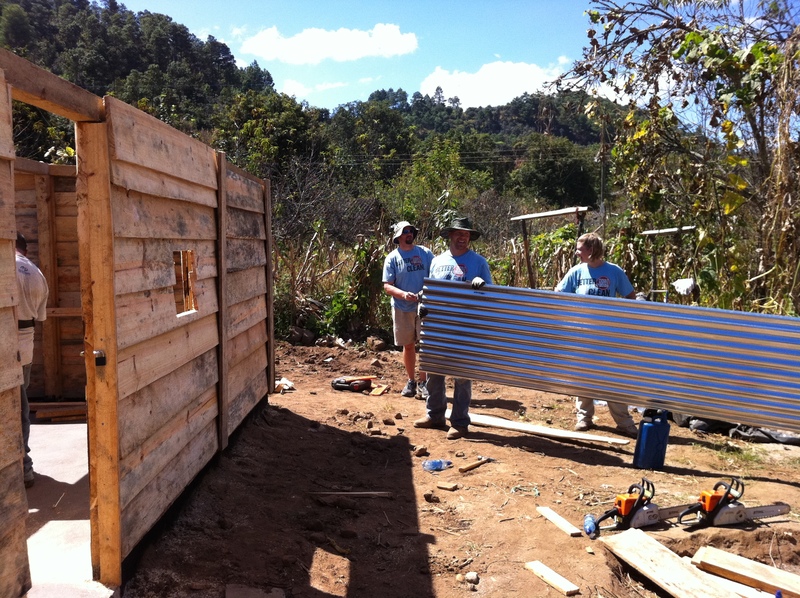 In late 2010, after Lockman Homebuilding Co. sold two homes in Avondale Estates and Augusta, Georgia, Buy One, Build One built its first two homes in Chichicastenango, Guatemala, and provided funding for a third. 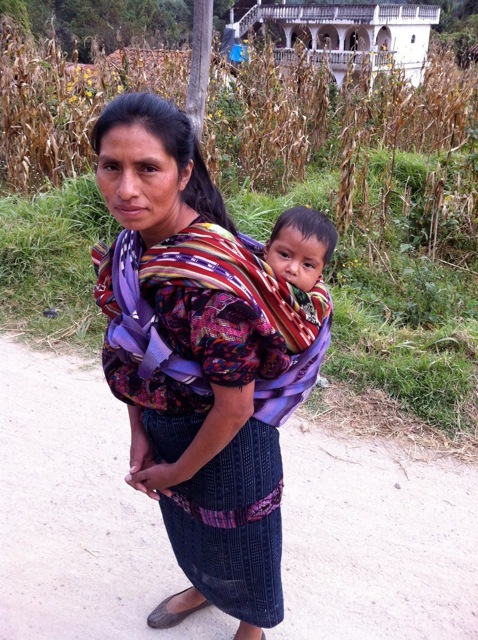 The homes were built for widows in this small village that was devastated as a result of Guatemala’s 36-year civil war. More than 200,000 people died in the war, including many men from Chichicastenango. 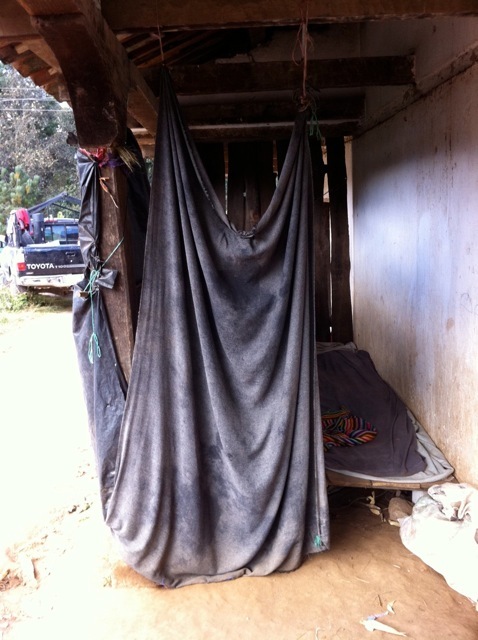 Like many of the village’s residents, these women were living in very small (10 x 5 square feet), semi-exposed spaces made from tarps and rotten wood, which left them vulnerable to the region’s many rainstorms, as well as theft. Plus, they shared their homes with their children and grandchildren—sometimes as many as six people slept in the space below, which belonged to a woman named Tomasita and her family. 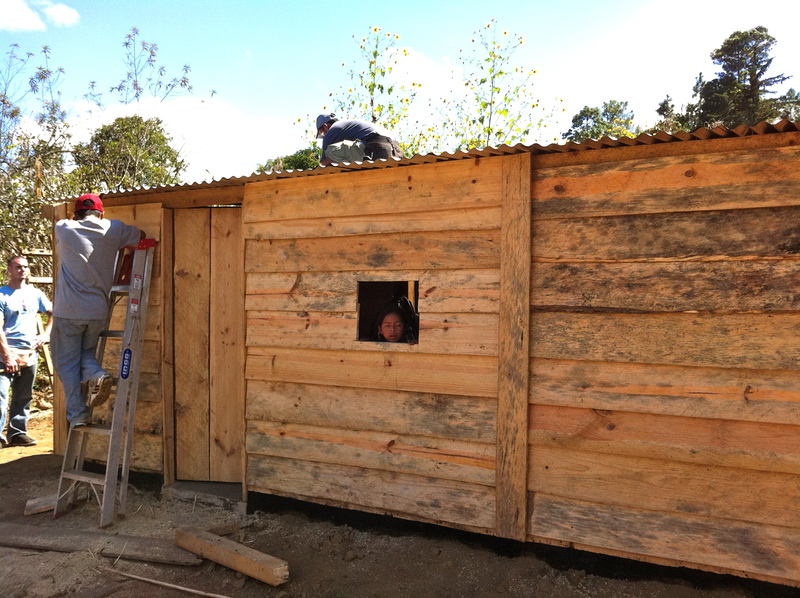 One of the two homes built by Buy One, Build One on this trip was for Tomasita. 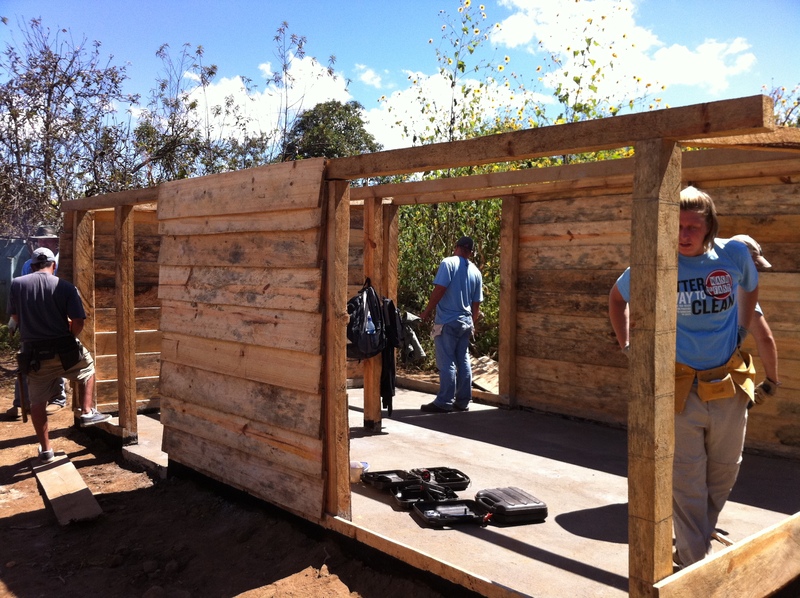 Here’s a few shots of the progress of Tomasita’s new house. 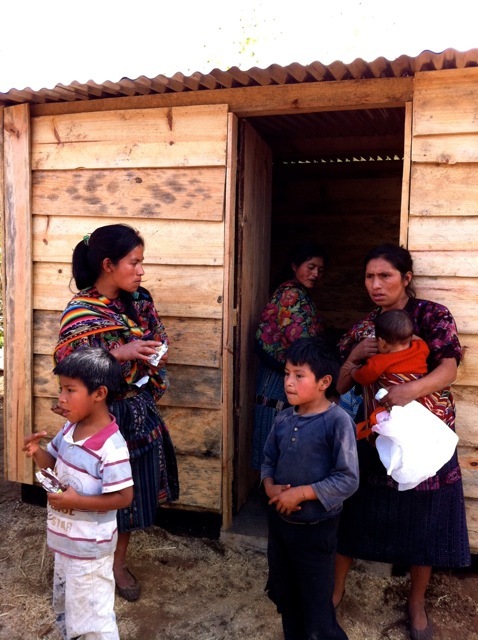 After a week of hard work, Tomasita’s family moved into their new home. 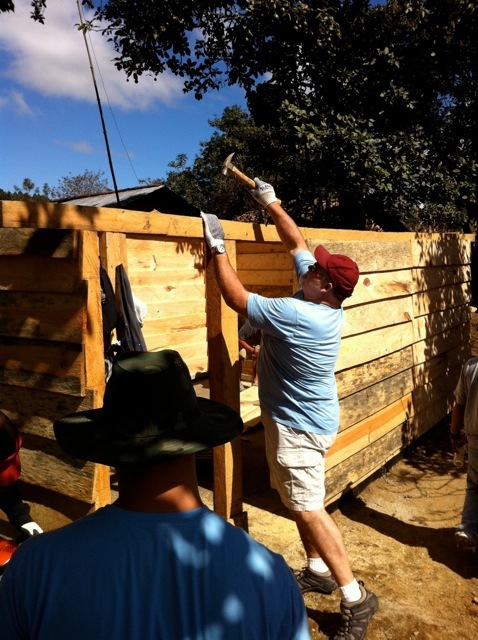 Buy One, Build One is thankful to everyone who participated in the building of these homes, including our partner, Pray America. Check back soon for more details on our next project. 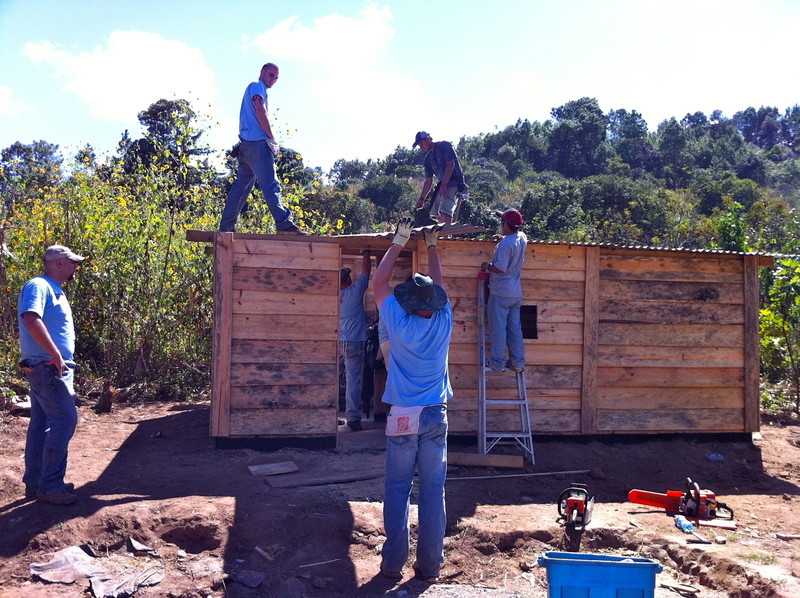 This entry was posted in Guatemala Project, Uncategorized and tagged Buy One Build One, Chichicastenango, Lockman Homebuilding Co., Pray America. Bookmark the permalink.